SEATTLE– Novo Fogo, the award-winning producer of organic Brazilian cachaça, has announced that it has transitioned to New York-based distributor, Skurnik Wine and Spirits, from previous distribution partner, The Winebow Group/Martin Scott Wines. As of April 1, 2019, Skurnik is distributing Novo Fogo’s products in New York and New Jersey. The new agreement will allow Novo Fogo to meet increased demand for their exceptional, handcrafted cachaças and build new distribution to retail and restaurant customers. Licensees who would like to become a Skurnik customer and access Novo Fogo’s portfolio of organic cachaças and canned Sparkling Caipirinha cocktails should visit skurnik.com/become-a-customer/. To learn more about Novo Fogo products and find them near you, please visit novofogo.com. Credited as a passionate advocate for sustainable practices in the spirits industry, Novo Fogo produces USDA-certified organic cachaças at their zero-waste distillery in the small town of Morretes, located in the heart of the largest protected patch of Brazil’s Atlantic Rainforest, where the coastal mountains meet the sea. Novo Fogo distills fresh sugarcane juice into cachaça, Brazil’s national spirit, using methods that prioritize environmental and human sustainability. Novo Fogo cachaças reflect this coastal rainforest terroir with flavors of banana, lime blossom, coffee and sea salt. Novo Fogo is a steward of the Atlantic Rainforest by planting native and endangered trees. Learn more about their “Un-Endangered Forest” project at novofogo.com/trees. 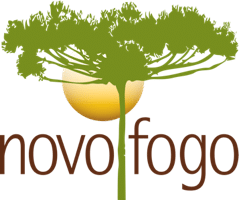 Extending this ethos of sustainability to its cocktail audience, Novo Fogo has been a trailblazer for sponsoring health and wellness initiatives for spirits industry members and insists that a balanced cachaça cocktail is a delightful accompaniment to an equally-balanced lifestyle. Find Your Own Brazilian ZenÔ by visiting novofogo.com. Skurnik Wines and Spirits is an importer and distributor of fine wines and spirits headquartered in the heart of New York City. They offer for sale (to the trade only) a high quality, diversified portfolio of wines and spirits from around the world. In addition to their well-curated portfolio of over 500 estates, a small selection of fine French brandy and world-class eaux-de-vie has grown into a formidable, comprehensive portfolio of craft spirits that are styled and priced for bartending and connoisseurship alike. Their team selects spirits that speak of the places, people and cultures from which they come. This ideology is unwavering and is the foundation of the evolution of Michael Skurnik Wines into Skurnik Wines & Spirits. For more information on Skurnik Wines and Spirits, visit skurnikwines.com.